So what are the 3 main symptoms of a compacted lawn? What can I do to reduce lawn compaction? How do I aerate a lawn? Will top-dressing help lawn compaction? 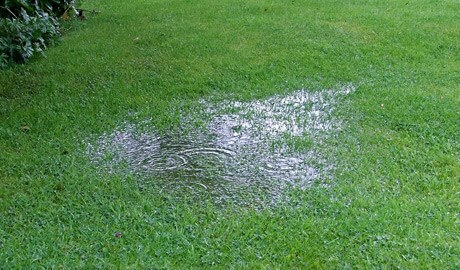 How can I stop my lawn being so wet? How do I improve a compacted lawn? Creating and maintaining a great looking and healthy lawn may take longer than you think! Perhaps you want to know how the professionals deal with a waterlogged or compacted lawn? Use a professional lawn maintenance company to carry out the difficult jobs, then sit back and enjoy your beautiful lawn!